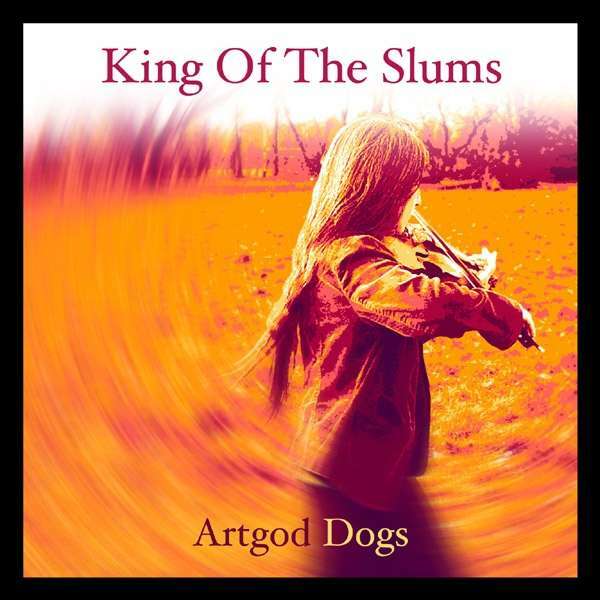 Der Artikel King Of The Slums: Artgod Dogs wurde in den Warenkorb gelegt. King of the Slums started up in around 1985 in the 'Hulme', area of Manchester, England UK. They never considered themselves a 'Manchester' band, just a band with an arty background, a little self-indulgent with story-type songs. A distorted electric violin was used all the time in early recordings, along with guitar, bass and drums. They continued developing this sound throughout their initial singles and albums. In 1991, following their 3rd studio album, they fell out with record companies, management and each other and disbanded. Their instruments damaged, their biro's broken. They were on the verge of a tour in the USA, and were considered a vital LIVE act. In 2009 the band embarked on a new album, but everyone fell out again and only developed 5 or 6 new songs. The resulting album, "The Orphaned Files", was sold out many times and is now a collector's item but the band did not pursue things further. In 2016 the band got back together and released a full brand new album `Manco Diablo' in 2017 which received widespread critical acclaim. The band are currently happy together and view their 6th studio Album `Artdog Gods' as their finest piece of work to date. Notably the new album features the reintroduction of violin and viola. 6 Goya, Pinter, Honey, Bed.